The city has recently experienced a number of high-profile shootings – two men were shot in the head, execution-style, in Rogers Park last week. Over the weekend, shootings killed a toddler in Hermosa and a straight-A student attending a vigil on the Far South side. Despite these horrific incidents, there are actually 102 fewer homicides and about 500 fewer shooting victims in Chicago this year compared to the first nine months of 2017. 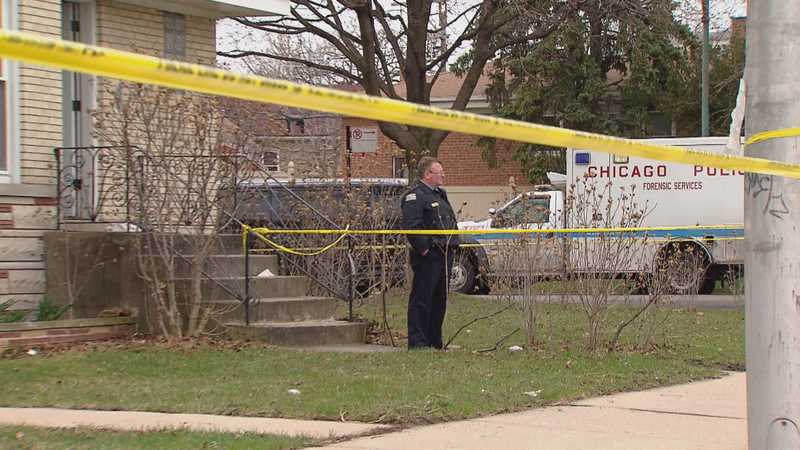 Six police districts – including the one in Rogers Park – will be getting more help as a result of the recent violence. That means 19 of the city’s 22 districts will now have strategic deployment centers. Trump said he wanted Department of Justice officials to “work with local authorities to try to change the terrible deal the city of Chicago entered into with ACLU, which ties law enforcement’s hands, and to strongly consider stop-and-frisk. “It works, and it was meant for problems like Chicago,” Trump said. In response, Mayor Rahm Emanuel said he would welcome added federal agents from the FBI, Drug Enforcement Administration and Bureau of Alcohol, Tobacco, Firearms and Explosives, but rejected Trump’s call for the controversial stop-and-frisk policy. “The failed policies he’s talking about have no place for a city that’s working together with communities, about how to build not only trust, but a collaborative and cooperative relationship,” Emanuel said. “The idea of what President Trump’s talking about is not only not welcome, it’s antithetical to what we’re working on. And that is about a strong proactive professional police department,” he said. Meanwhile, Sessions on Tuesday said the Justice Department will file a statement of interest opposing the police consent decree, saying it’s imperative that Chicago not repeat the mistakes of the past. Ald. Joe Moore, 49th Ward, from the Far North Side neighborhood of Rogers Park. Ald. Anthony Beale, 9th Ward, from the Far South Side neighborhood of Roseland.